Creepy L.A. is Looking for Coffin Hunt Artists! Coffins aplenty, coffins abound, your world could be full of tiny arty coffins… if you just let the spirits wander where they may. 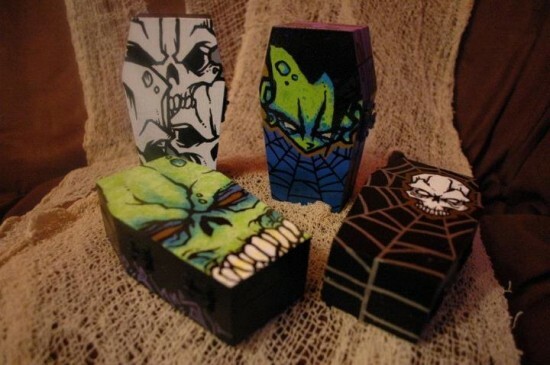 Participate in creating the creepiest coffin you can for Creepy LA’s Coffin Hunt! Check out this gallery of coffins to see the amazing coffins from 2011, and register to decorate a coffin that some poor (lucky) soul will find in a significantly historically creepy or crazy or morbid or weird location of Los Angeles! Participating artists will each be sent TWO coffins by the end of August. They will need to decorate, design, and return their finished work to CreepyLA by October 1st. Artist will be responsible for all costs of designing and decorating the coffins. One of the coffins will be used in the Coffin Hunt, given away, free, at CreepyLA’s discretion. The coffin not used in the hunt will be used in a Kickstarter campaign or a related promotion to help raise money to cover the costs of the Coffin Hunt. Artist will receive 50% of any sales, Kickstarter or otherwise, this coffin is sold through. 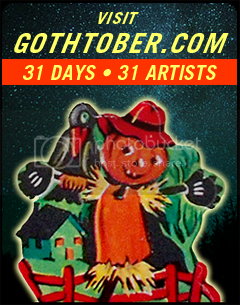 Each participating artist will have their Facebook fan page, if available, and/or link to their personal site tagged or mentioned on Hidden Los Angeles and CreepyLA’s Facebook pages, exposing them to hundreds of thousands of online impressions. Sound good? Then please fill out their form by August 16th. Selected artists will be notified by August 23rd!